Happy New Year to you all!! I can’t believe the year is coming to a close, but I’m so looking forward to what next year has in store!! 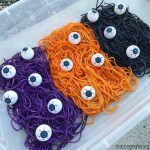 The first step is to color the noodles. 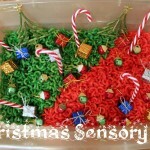 You may have remembered this from my Christmas sensory tub post, but I’ll do a little refresher. 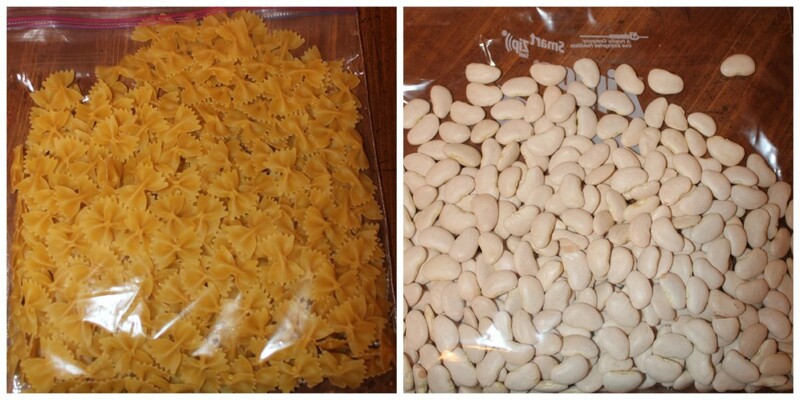 Take noodles and beans and put them in a gallon size ziploc bag. 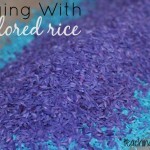 Pour rubbing alcohol in the bag (just enough so the beans or noodles are coated) and mix it around by shaking the bag. 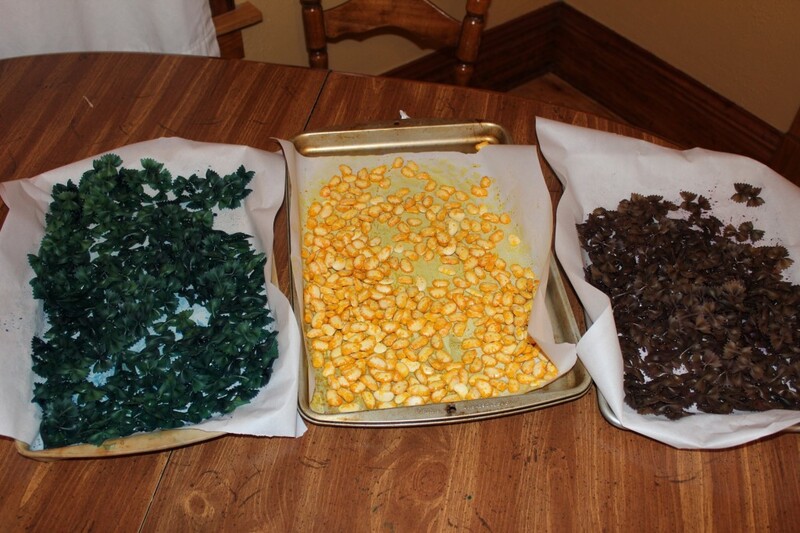 Then add food coloring and shake the bag again. Let it sit for 5-7 minutes. Then pour the contents out onto a cookie sheet lined with parchment paper. If you have a lot of extra “juice”, you can soak it up with paper towels. Let it dry. I usually let it dry overnight just to make sure it’s good and dry. 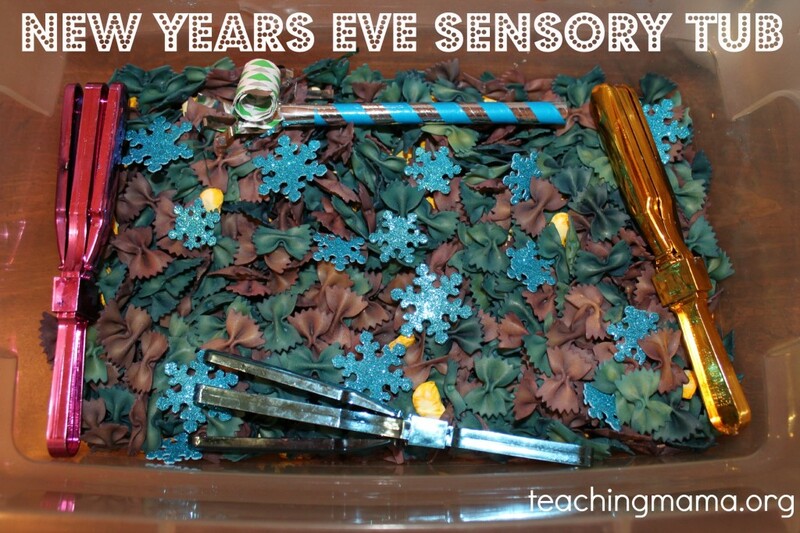 Then pour into a tub and put some fun toys inside for the kids to play with. 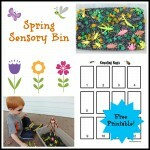 I love sensory tubs. They allow kids to be creative and imaginative. 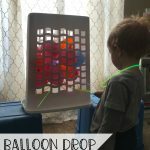 It helps them learn sensory attributes (such as soft, rough, cold, warm), enhances fine motor skills (such as pouring & pinching), and allows them to explore the world around them. 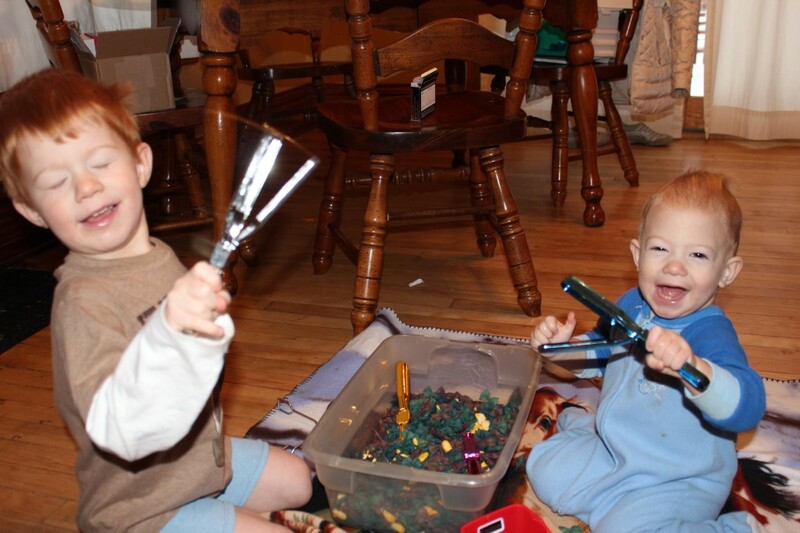 With each tub we play with, I see Troy and Wes play with them differently. 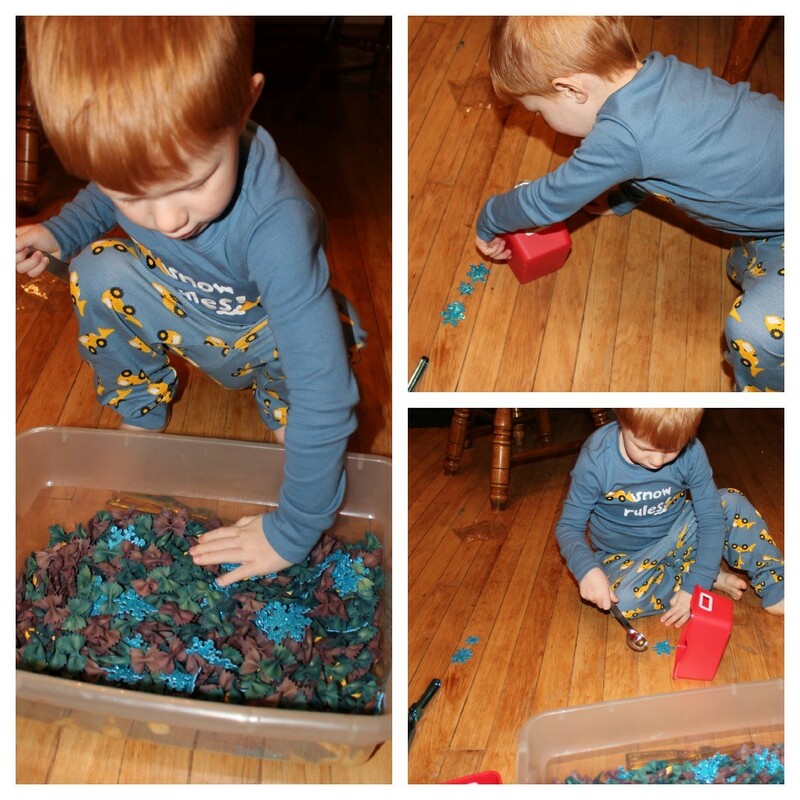 This time, Troy took the snowflakes and lined them up and then was “shoveling” them into the bucket. I also just love listening to him narrate what he is doing. 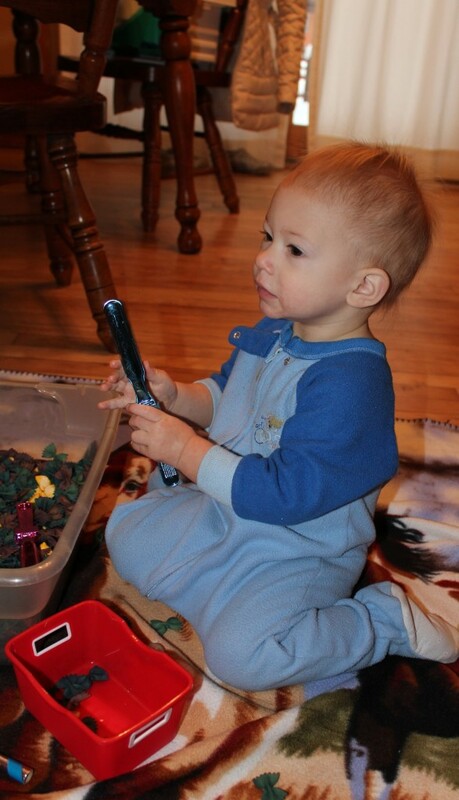 The clappers were also a huge hit. So fun for them to discover the noise it makes when they shake it. I hope you’ll try this out, or some variation of this. This one is easy clean up too, since the noodles are larger. I decided to put beans in this one to have some variation and different textures for them to play with. 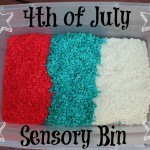 Let me know if you try this out or if you create your own sensory tub! I wish you all a happy and safe New Years!! I think the clappers would have gone over big at my house too. Happy New Year! Thank you! Yes they are quite fun for little ones!! Happy New Year!